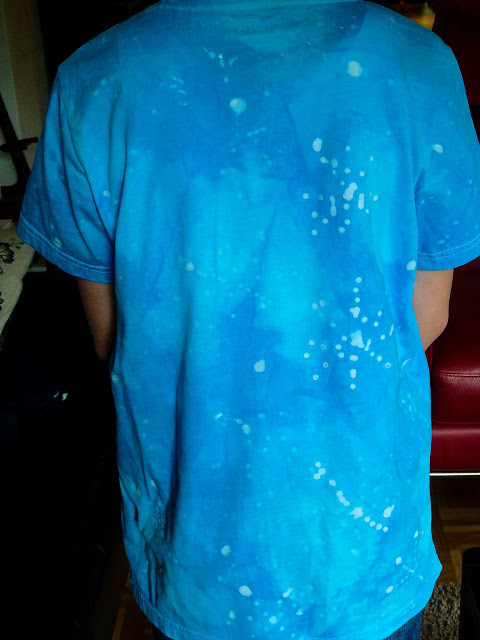 Here comes another design we tried the other day with wax batik. 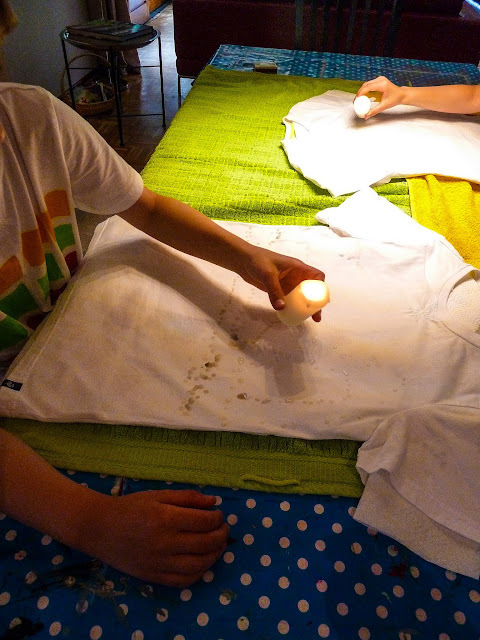 The first exciting step was, that the children, under my supervision, were allowed to light a match stick and a candle. 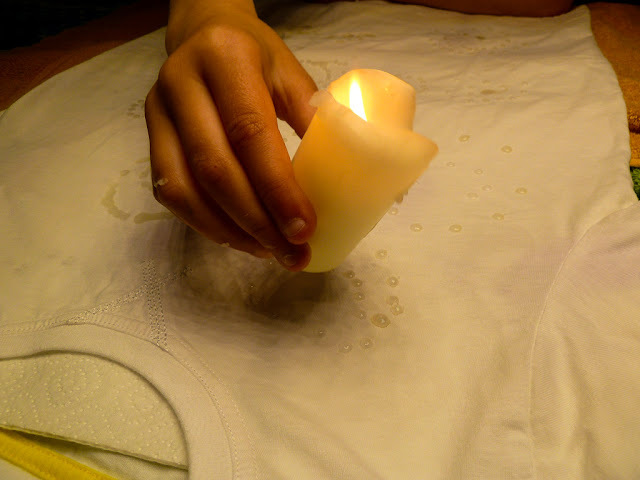 They used the burning candle to make wax spot on a white T-shirt. 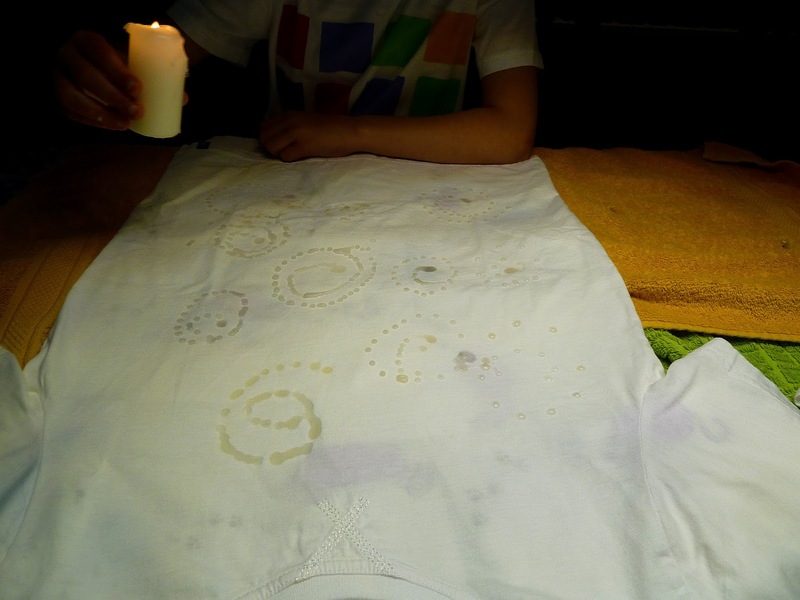 The wax cooled and dried reasonably fast, so that they can turn over the T-shirt and do the back side. In between we put lots of kitchen roll, so the wax can not bleed through. 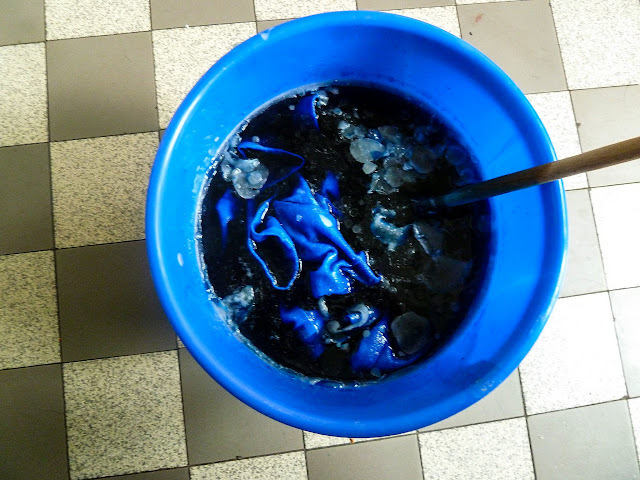 Once the waxing was done we dyed the shirts with azure blue batik color following the instructions on the package. 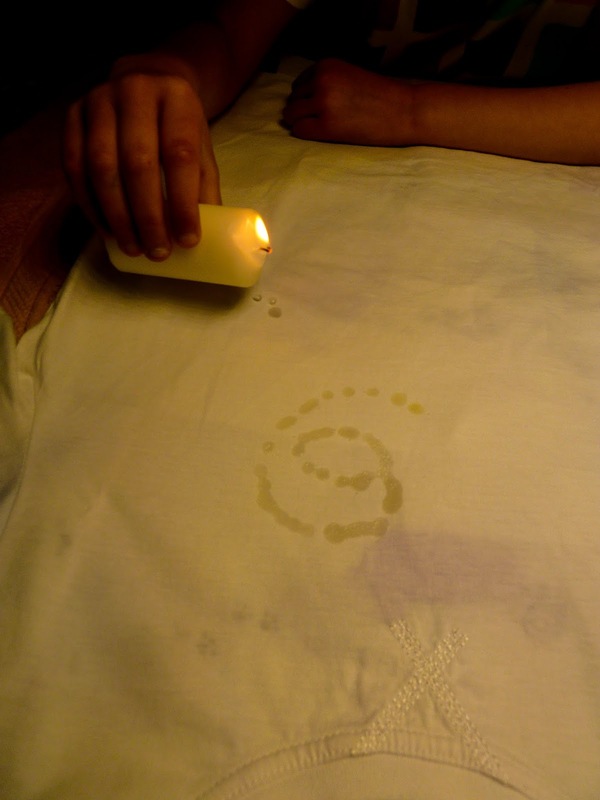 Since the paint bath was hot, some wax melted but that didn't seem to be a problem. 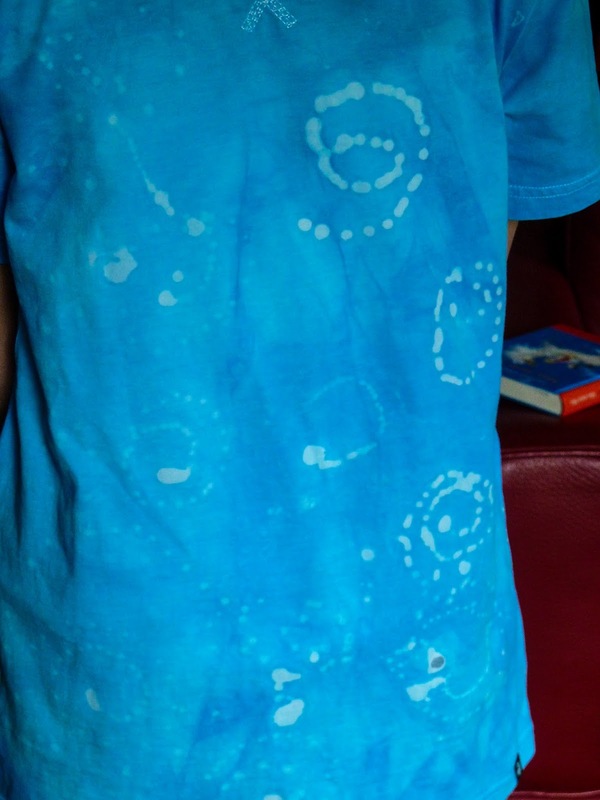 After 30 minutes the shirts were taken out of the bath and rinsed thoroughly under running tape water. We let the shirts dry and I ironed them with blotting paper to remove the wax from the fabric. 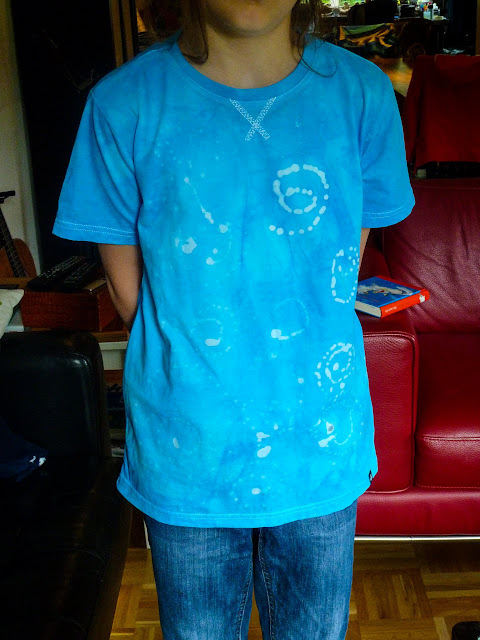 We are content with the result, although we then realized that the kids could have used even more wax to spot the T-shirt. And a darker batik color might have given a even better result.